As the year comes to a close, we have much to be thankful for. First blessing is the friendship and partnership we have cultivated with Albertsons. A very special thanks to the managers at the Carson store on Main and Sepulveda, Vance Bennett and Jody Carr, who have demonstrated year after year to be real friends to WHOA and strong supporters for our wounded Veterans and their families. Because of this collaboration, we have had the wonderful opportunity to distribute complete turkey dinner to our Vets to celebrate Thanksgiving with their families for the 3rd consecutive year. In total this year, WHOA passed out 120 complete turkey dinners which included a delicious turkey, mashed potatoes & gravy, stuffing etc. 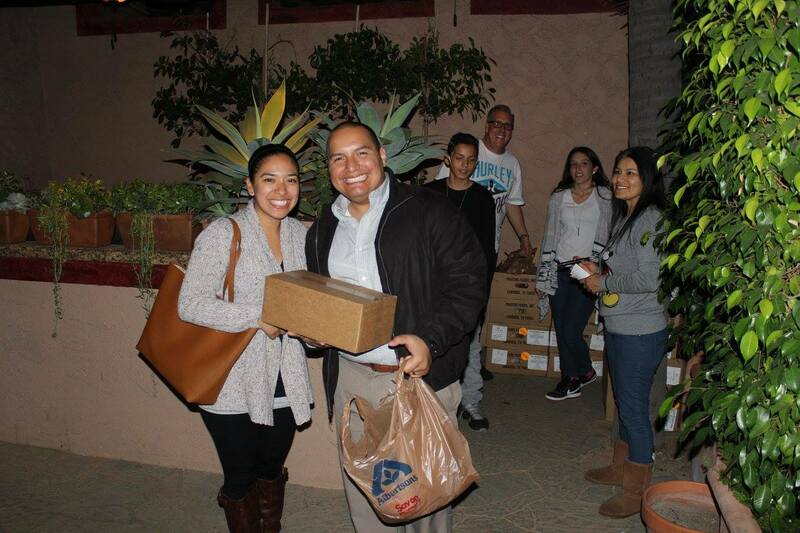 We gave 50 Thanksgiving dinners to Veterans at our November meeting at El Cholo Restaurant in La Habra. However, in staying true to their military oath to never leave a fellow soldier behind, two extraordinary Veterans extended their commitment to helping their fellow brothers and sisters in a different arena…their church. Felipe Tellez and Jose Hernandez , two of our combat wounded Vets, created a Thanksgiving program to ensure that no one from their church or community goes without a turkey dinner. Jose and Felipe gave away another 35 turkey dinnesr to some very appreciative families at their church. These two vets have a huge heart and have continued the tradition of service to others. Congratulations to Felipe and Jose for leading by example. And last, but certainly not least, we donated an additional 35 turkey dinners to the Gardena Vet Center to pass out among their Vets. This is only made possible because Albertsons cares enough about our Veterans to get involved and make a difference in so many families who have already sacrificed so much. Wouldn’t it be nice if there were more people like Vance and Jody and companies like Albertsons? We know they’re out there…we just have to find them. And now, on to Christmas! WHOA 2018 Operation Santa is running. WHOA Scuba Diving Club Fundraiser is on. Support WHOA in Amazon Smile; here’s how to.